Report on informatics systems in NHS Wales raises "alarming findings"
The Welsh Assembly Public Accounts Committee (PAC) has questioned the “competence, capability and capacity" across the system to digitise healthcare services in Wales after an inquiry uncovered a “raft of problems”, from delays in the delivery of digital projects to “unclear” lines of accountability. The committee found that there had been 21 outages of national systems from January to July this year. A letter from the Cardiff and Vale University Health Board indicated that a national data centre failure that occurred between 3 to 5 August affected “all of Wales”. The PAC said it was “deeply concerned about the slow pace of delivery of modern informatics systems”, asking the Welsh Government to set out a “clear timetable” to put the infrastructure on a “stable footing”. “We trust our inquiry and this report will be a wake-up call to all those involved in harnessing the power of digital innovation to improve healthcare in Wales. We believe it’s time for a reboot," said Nick Ramsay, PAC chairman. Dr Peter Saul, Royal College of GPs Wales Joint Chair, said the report, released today, raised "alarming findings about the weaknesses of IT in the Welsh NHS". "Data outages can be extraordinarily disruptive for practices and for patients. They affect appointments, prescriptions and the nuts and bolts of a functioning practice and can take hours to recover from. Unfortunately these data outages are becoming all too common, leaving GPs scrambling to find solutions or workarounds while waiting rooms fill up. "Embracing safe, reliable and innovative technology will be vital for the future of healthcare, but that will be undermined if the Welsh NHS cannot get its IT right. Whether it's the basics like appointment booking, or larger projects such as electronic prescribing or electronic patient records, we need IT that works," Dr Saul added. 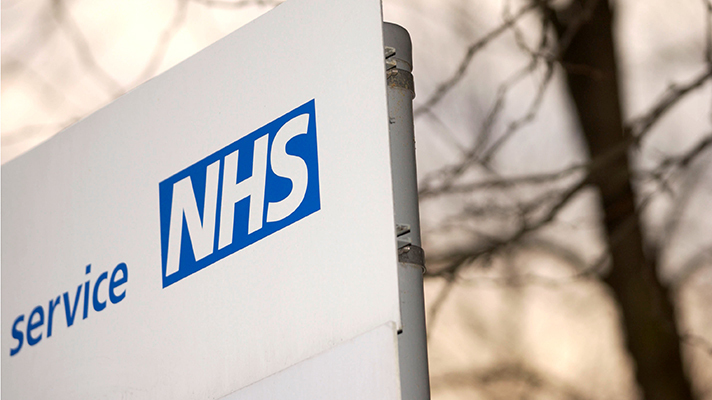 The inquiry follows a report from the Wales Audit Office, published at the beginning of the year, which indicated that the NHS as a whole spends less than two per cent of its budget on ICT. It estimated that around £484m would be needed, on top of existing budgets, to digitise services. “There is a need for clarity from Welsh Government as to whether the tentative estimate is in the right ballpark, and the witnesses we asked thought it was, and whether significant resources will be set aside and over what time frame,” the committee said. Their findings also indicated that the NHS Wales Informatics Service (NWIS), the organisation responsible for IT, was “being asked to do too much within its current resources and needed clearer priorities”, and concerns were raised about the cybersecurity risk posed by the CaNISC cancer IT system, which has not been supported by Microsoft since 2014. "The Committee would like to see CANISC replaced urgently and as soon as is practicably possible," PAC members wrote in the report. "Given the red risk rating and the cybersecurity issues, there is a compelling argument for accelerating the work if possible. However, the Committee recognises that this would require careful consideration of the knock-on consequences." The Welsh Government and the NWIS said they would review the committee's findings in detail. “We welcome the report published today by the Public Accounts Committee into the use of information technology and the vital role it plays in our Welsh health and care system," said a spokesperson for NWIS. “We participated in the Public Accounts Committee review in April and July this year and were pleased to share insight into the specification, planning, delivery and management of national digital health and care services for Wales. “As an NHS organisation we are working with our partners across the health and care system to make the most of the benefits that digital services can offer to health and care professionals, patients and citizens."